I am speaking to those among you who have retained some sovereign shred of their soul, unsold and unstamped: '- to the order of others'. 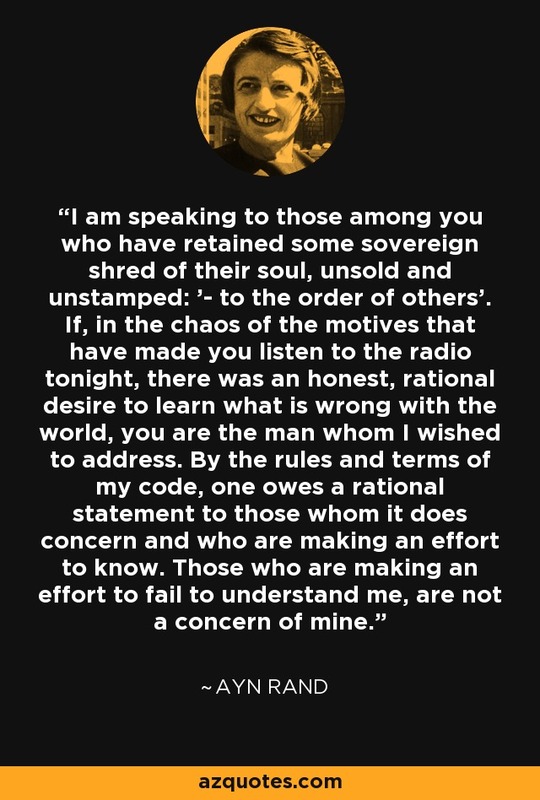 If, in the chaos of the motives that have made you listen to the radio tonight, there was an honest, rational desire to learn what is wrong with the world, you are the man whom I wished to address. By the rules and terms of my code, one owes a rational statement to those whom it does concern and who are making an effort to know. Those who are making an effort to fail to understand me, are not a concern of mine.